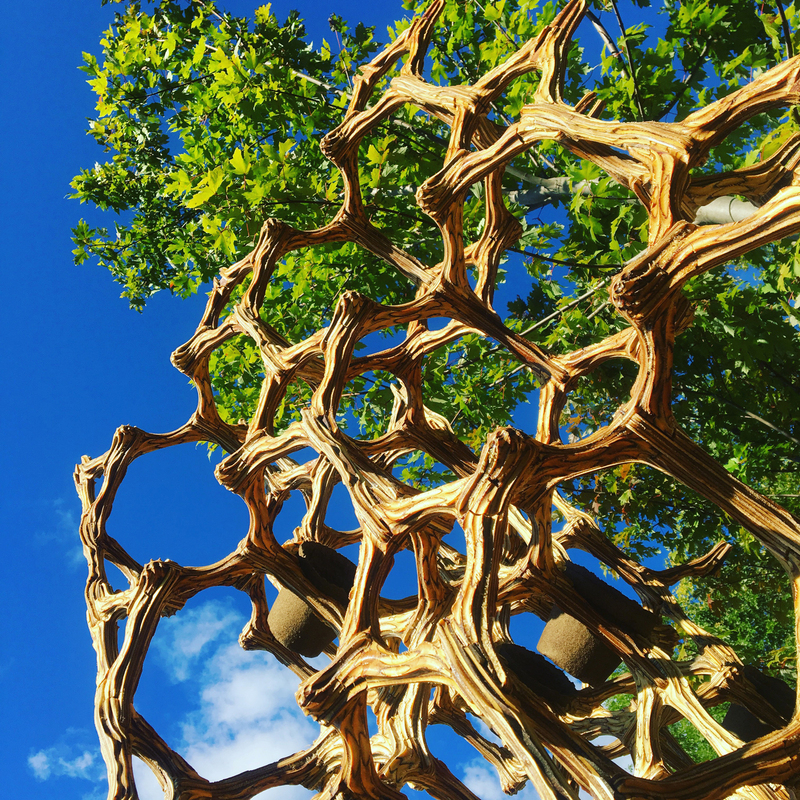 One might say that the Primitive Hut pavilion by OMG! is both high-tech and traditional, or even temporary and permanent. A mix of new and old techniques and technologies, the project is designed to last indefinitely while at the same time decompose away. OMG! 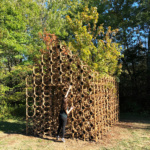 is a collaborative between Martin Miller of Antistatics and Caroline O’Donnell of CODA, and their latest installation, Primitive Hut, is situated in the OMI International Arts Center in Ghent, New York. The two set out to produce a work that would question the relationship of architecture to time through an exploration of growth and decay. To do so, they engaged digital fabrication techniques as well as a structural system first proposed by NASA engineer Kenneth Cheung. 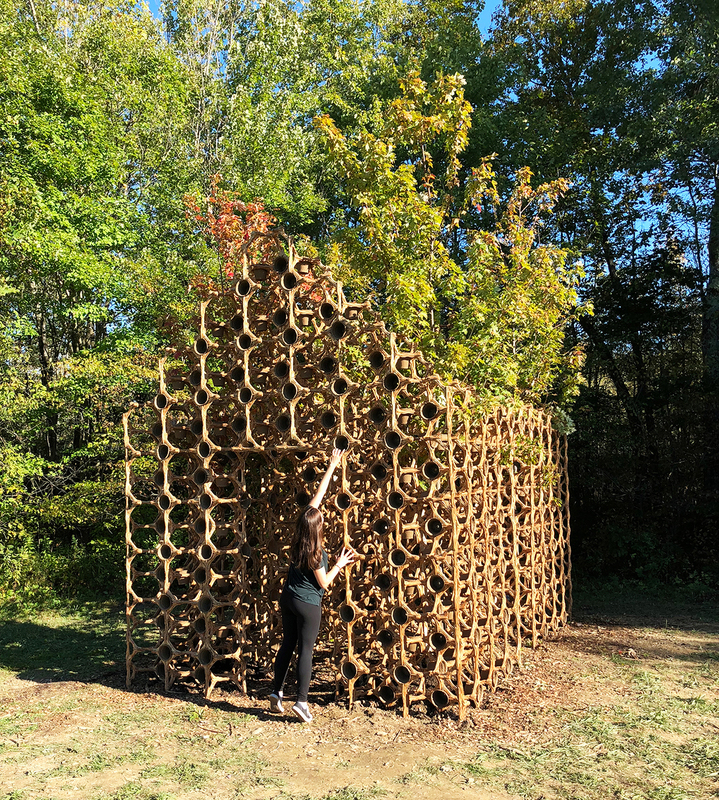 Utilizing what are called digital cellular solids, the team constructed the installation out of a lattice of roughly though accurately cut interlocking plywood modules. Besides the plywood, the only other materials employed were sawdust (waste from cutting the plywood), bio-resin, hemp, and an infill of manure cylinders. 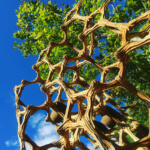 One other component that balances the line between material and site are a set of four maple trees which grow through the structure. 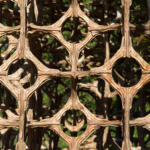 “The planting of the four trees more than offsets the wood used in the pavilion. 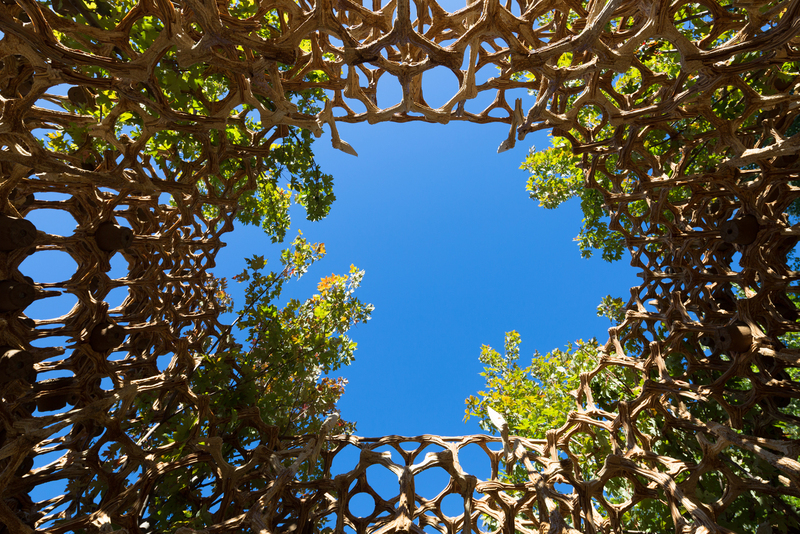 As the pavilion decomposes, the trees will be nourished and will eventually lift the roof structure up in its branches. As in the original etching, the project is about opening up our understanding of architecture towards a better interaction with nature,” O’Donnell told AN. 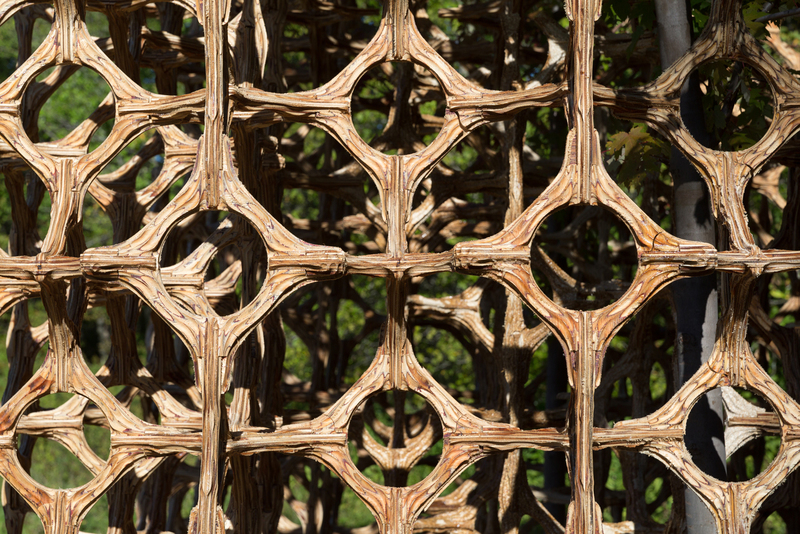 The 5,000 individual pieces that make up the structure were cut in such a way to optimize the fabrication process. “In the early days, computational design was often exuberant for the sake of exuberance and the image of blobs and folds became synonymous with digital architecture,” Miller said in reference to the changing attitudes surrounding digital and parametric design. 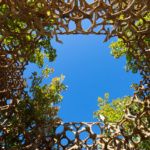 The pavilion opened to the public on October 21, and will remain on the site in some form until the trees that are growing through it die. So, at least 200 years.